Tonight is Games Night. 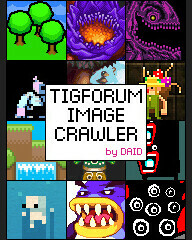 Come join us in #tigIRC around 8pm GMT! 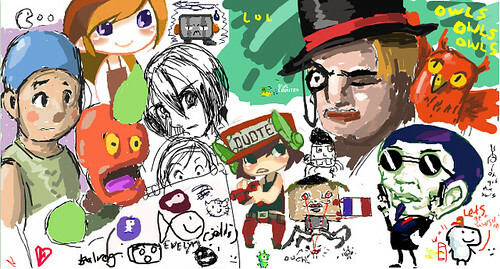 Game of the night: iScribble! We’ll also be playing Jet Set Willy Online, TrackMania, Zap, and anything else anybody might want to play. Check out BlademasterBobo’s thread on the forums for more info. Be there or be a four equally sided shape with 90 degree angles. That last *squared* was supposed to be on a different line, dagnabit. This looks incredible and awesome and I want to be in on this. Something’s seriously buggy with JSW today. I couldn’t join games on the TIGS server, and it displayed the wrong room when I spectated, and one guy in the chat had no name. I also started a perfectly acceptable, dedicated server with great ping and a Noitu reference in the title and everything, and no one joined it :( I am sad now. Nillo, I saw your server, but everyone was on the TIGS server :) you should’ve come on the IRC and told people about it. Games night is ongoing! come one, come all!